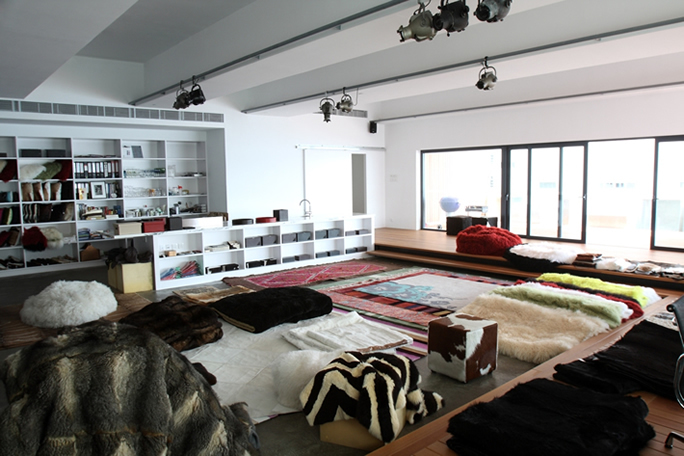 Faux was established in 2006 in Hong Kong in a tiny 300 square foot showroom in Sheung Wan selling hides, wild game products and soft furnishings. Today, Faux is a thriving boutique design house and interior design firm with a growing design and production team who work out of a 3,000 square foot showroom in Ap Lei Chau. Our ever-expanding homeware collections include rugs and throws, fine bone china ceramics and tableware as well as soft furnishings and furniture, glassware and lighting designs. Our mission is to help you discover a world of original, beautiful rugs, homeware and lifestyle accessories to adorn your interiors. Beautifully crafted, our custom designed rugs are hand-knotted in Nepal, Tibet and India in silk and wool and organic materials including bamboo, agave, cactus, hemp and nettle. Super soft chromium tanned hide rugs are sourced from Brazil, exotic wildgame rugs come from Africa, and our eco fur throws are from Peru and New Zealand. As part of our ‘Artist Editions’ remit, Faux collaborates with artists, designers and photographers worldwide to create original, limited edition homeware collections as functional art. Artists’ Editions at Faux give artists opportunities to explore mediums not traditionally associated with their work and exposes them to a wider audience. Faux works with private customers, interior designs firms, decorators, hotel groups and developers. Our products are sold through lifestyle stores and gift shops including Tree, TDC, Four Seasons, Mandarin Hotel and Shangri-la hotels. We also collaborate with luxury multi-brand department stores including Lane Crawford and art galleries such as Cat Street with whom we launched an Australian Series in Sydney. Faux develops beautiful branded gifts for its corporate clients including Swire, Jardines, BA and Joyce Boutiques. Faux offers interior its design services for residential, retail, commercial projects and hospitality.